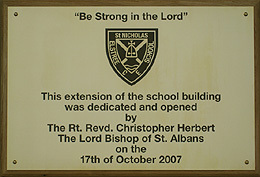 Able Engraving & Design offer brass plaque engraving services. Cosmetically brass is probably the most attractive material available and can be used both inside and outdoors. Brass is an alloy of different metals, including copper and zinc. Aluminium can also be added for additional strength, and a side effect of it is a beneficial layer of transparent aluminium oxide on the surface, protecting the engraved plaque further. As with our stainless steel, bronze and aluminium engraved signs, brass signs look particularly attractive when they are mounted onto a hardwood surround (usually mahogany or oak but other woods are available). 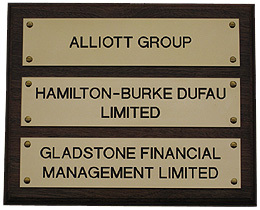 You can get our brass plaque engraving services for nameplates as well. Badges and nameplates add a professional touch to your employees and make it easy for customers to address them. During corporate events, nametags make networking easy, not to mention they are ideal for branding. 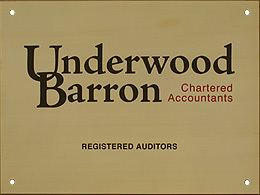 With the right engraving partner, you can get quality name tags and plates that promise long service. We have worked with various companies and have perfected the art of personalisation. Whether you just need a badge with a name or prefer something unique like a company logo, we will engrave it. Able Engraving & Design also does brass plaques for awards, memorials and recognition. For an additional charge our signs can be lacquered and stoved to apply an attractive high gloss finish that prevents tarnishing and increases ease of cleaning. Brass can be engraved or etched and in single or multi-coloured designs. The copper in the Brass adds a small antibacterial quality, making cleaning a little easier. One justification to get our services when you need engraved brass plaques is because we hire well-trained and skilled engravers. The experts at Able Engraving & Design are always apprised of the latest techniques and use high-tech equipment to deliver the best quality products. Regardless of the plaque’s shape or size, our engravers will work to meet your desired style. Our engravers are also well-versed in hand-crafted products if you need a bit more specificity. 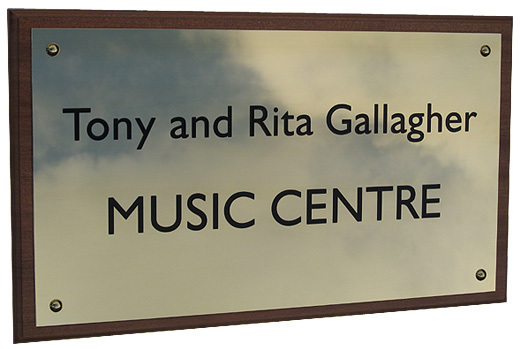 Brass plaque engraving offers an affordable solution whether you are getting an office sign or a personal gift. Able Engraving has been providing services for a while and has come to anticipate the diverse needs of our clients. We prioritise customer satisfaction by ensuring that every project meets the highest standards. It doesn’t matter if a client is getting a customised gift or ordering a large commercial job; our engravers guarantee the same degree of craftsmanship. Our experts take the time to understand what you want to get from the service – promotion, appreciation or identification. 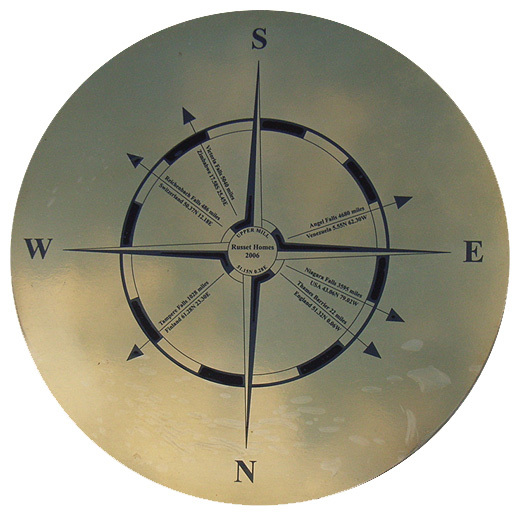 If you are not clear about the style that would work for your brass plaque, our professionals will offer useful advice. 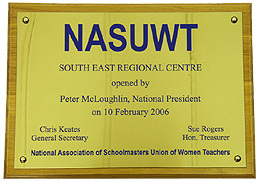 Browse through some of our engraved brass plaques to see the standard of our work. As with all our other materials brass signs do not have to be square or rectangular in shape. Our London-based engravers can cut all materials to any shape and size you require for your brass engraving design, for a truly unique engraved plaque design. For helpful and friendly advice on the above brass engraving products please call 01342 843211.